The BBLB works to support the boys and girls high school programs as well as our youth association (BAHA). Click on HS Boys or HS Girls Brd/LF to view the direct feed from MN Hockey hub which provides game schedules, scores and stats for the teams. Tournament schedules, dates, hotel info and general information for each team is provided under each teams tab. Under News and Events you can find information for our special events for all hockey high school programs. 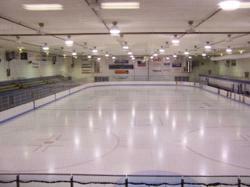 You can also access Brainerd's youth association - Brainerd Amateur Hockey Association (BAHA). We want to say THANK YOU to all of our sponsors for their outstanding support of Brainerd hockey. We were able to make some exciting changes last year and will continue to initiate some key steps in bettering Brainerd hockey from the youth levels all the way to the high school programs. We look forward to continuing and expanding the Blue Line Boosters involvement and support of these great programs. Our success this past year could not have been done without you! See what we've been up to - click here for more info! The Brainerd Blue Line Boosters is a non-profit organization that supports the Brainerd Boys and Girls High School Hockey Programs and the Brainerd Amateur Hockey Association. We strongly believe that participation in co-curricular activities enhances a student’s education and helps develop the total individual.